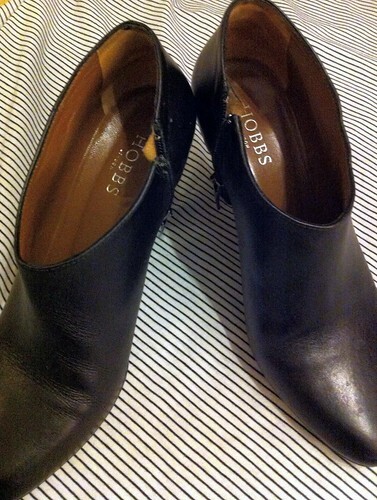 My Bargain Buy: Hobbs Boots for £15! Do you remember back in November when I told you I visited the Isle of Wight to see my family, and happened to stumble across a very interesting shop? Cameo of Cowes is a second-hand retailer with a difference – it sells lost property from places like sorting houses, cruise ships, railways stations and the like. I’m sure we’ve all experienced the misery of losing something at some point or another – allow karma to gift you back something special, because this little gem is packed full of plush gear at low prices, and it’s all just waiting for you to drop by and treat yourself! I managed to bag a Reiss cardi for £8, a pair of strappy L.K. 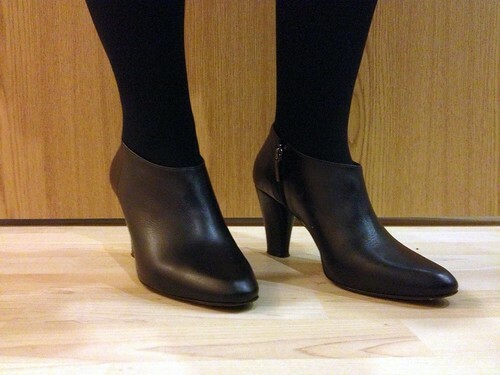 Bennett black heels for £9, and these amazing, immaculate Hobbs ankle boots for £15! As soon as I saw both pairs of shoes on the shelves (believe me, they jumped out right away) I felt that mix of elation and fear that all bargain hunters experience. First – the happiness of seeing something that looks perfect for you. 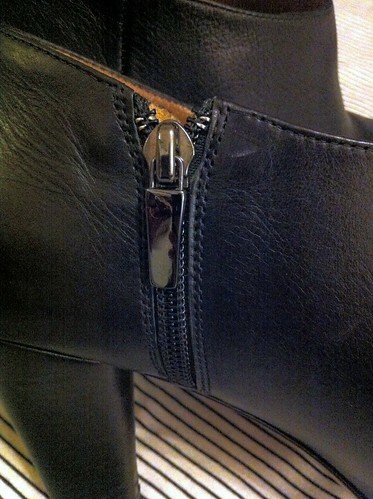 Second – will they be in the right size? Will they be the right price? 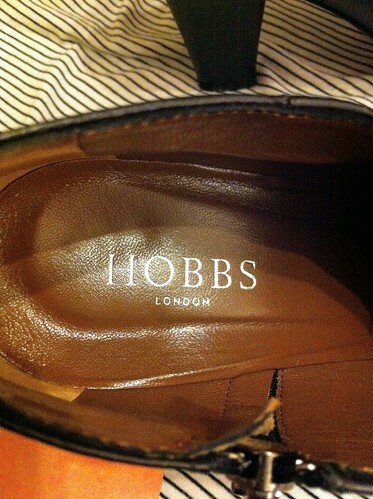 By a miracle, both shoes were my size (a clumpy 7… Sigh), and I’m sure you’ll agree, for that price, it would have been rude to have left them in the shop! Has anyone had any amazingly bargainous purchased they’d like to share? I love hearing stories about great finds!